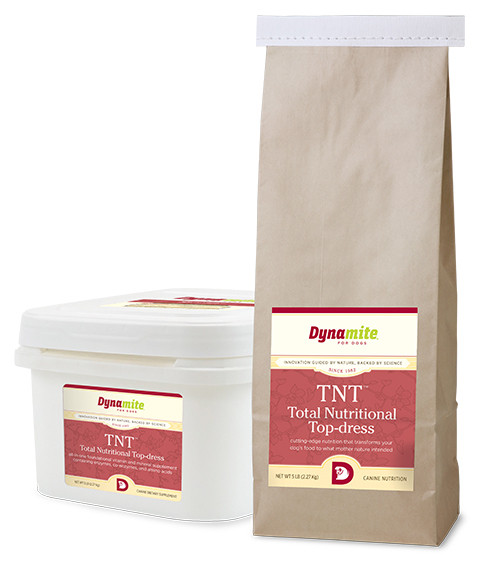 Total Nutritional Top-dress, a.k.a 'Canine TNT',is an all-in-one foundational vitamin and mineral supplement containing enzymes, co-enzymes, and amino acids in a convenient, delicious gravy. 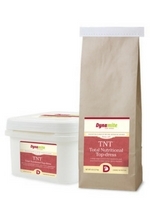 TNT is a synergistic combination of Dynamite’s Showdown, Free and Easy, Miracle Clay, Izmine, SOD and Yucca, as well as other ingredients, to provide a complete, easy-to-feed, canine supplement. Below are some great articles and testimonials that you will enjoy. Remember, education is power in discovering the truth and knowledge about health.